James Wright heads to Chester’s Little Theatre to watch a production of Harold Pinter’s dark comedy The Homecoming. Photos: Steve Cain Photography. Nestled deep in the heart of the Hoole side of Chester lies the splendidly nostalgic Little Theatre. Situated not too far behind Northgate Arena in Newtown, this pleasant, otherwise unassuming building belies one of the quaintest interiors I’ve ever seen. It feels much like you’re on the set of Heartbeat, or maybe somewhere in Emmerdale; by which I mean, you’re greeted by a warm, maybe even olde worlde vibe. The management and staff are all really nice and friendly, with free coffee refills offered during the interval, and a choice of four different biscuits – can’t go wrong there, let me tell you! The bar, which sells wine, ales, and spirits, is relatively cheap (always a good thing), and, whilst slightly on the snug side, does make you feel very much like you could have walked into a scene of Heartbeat. Dang, I’ve got that darn tune in my head now! Some quick research on the company behind the Little Theatre – the Chester Theatre Club – informs me that this is Chester’s longest running theatre company, having formed in 1944. Seven decades later, and the group is still going strong, with six productions put on every year, most of which are usually sold out. Clearly, they know their stuff after all of these years of performing to many appreciative theatre-goers. And their latest offering, a production of Harold Pinter’s The Homecoming directed by Marian Newman, is no exception. 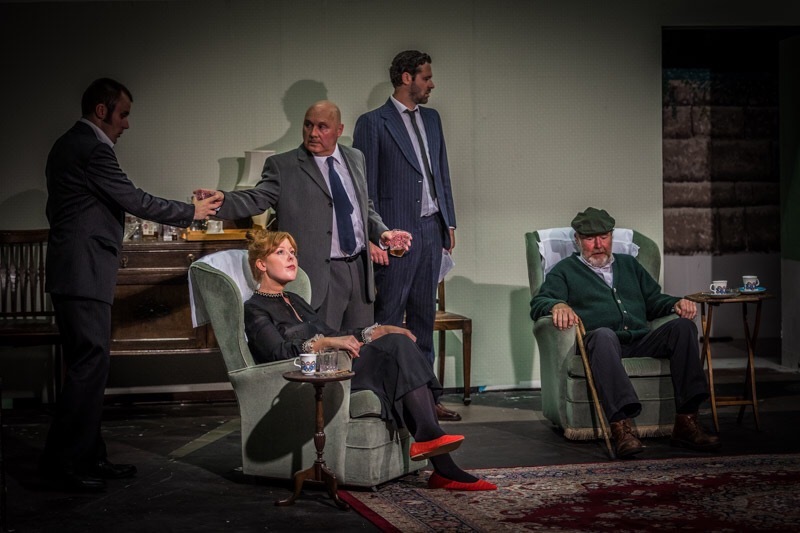 I had the privilege of going along to see exactly what the lovely men and women of Chester Theatre Club could do with what is described as the best of Pinter’s early works. I can see why it’s described that way. Acting as a not-so-subtle commentary on patriarchy and the idea of the transgressive and ideal female roles, The Homecoming throws us deep into the house of a North London family consisting of father Max (Ray Bengree), his brother Sam (Richard Steventon), a chauffeur, Max’s eldest son Lenny (Mark Newman), an atypical “Landan Gangster” and presumed pimp, youngest son Joey (Paul Williams), a part-time boxer who works in demolition, and Teddy (Stuart Evans), the middle son, a doctor of philosophy, and expatriate living in America. 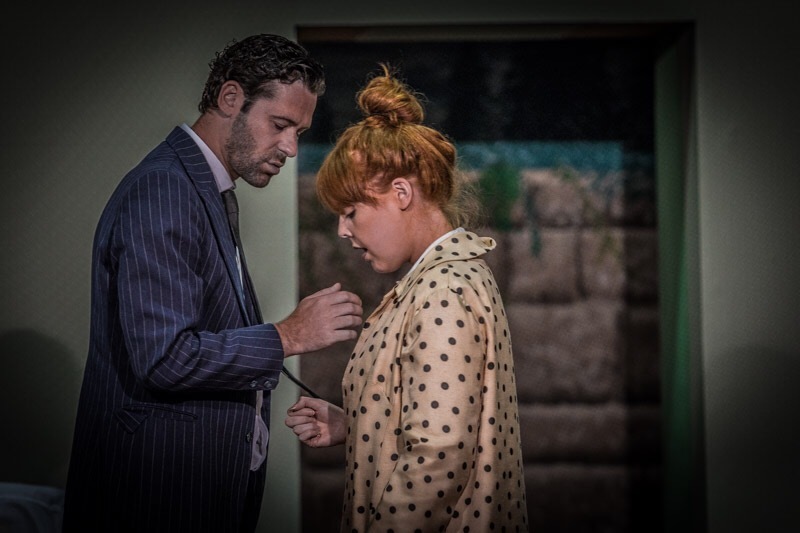 Teddy returns home with his wife of six years, Ruth (Sally Anglesea), and whilst not initially welcomed with warm, open arms, he is shortly the central part of the family’s life – though, not necessarily for the best. The transgressive/ideal female roles that I alluded to are taken up by Ruth, who reverts back to her former self before marrying Teddy. She ends up becoming the transgressive feminine, and with the lack of a proper mother figure, the ideal female role is taken up by chauffeur Sam. Ruth ends up becoming intimate with Teddy’s brothers, and systematically emasculates each and every member of the family. When Max, the patriarch of the family, first meets Ruth, he refers to her as a whore (and every other name besides) in some wonderful foreshadowing. Sam, whilst nowhere near able to fit into the role of mother/virgin, is the one who washes the dishes, cleans the clothes, and generally acts as the glue holding the family together. Add to that, there’s the potential underlying theme that Sam is gay, and he becomes the de facto ideal feminine. The play acts to introduce these ideas in a way that incorporates dark humour, some truly brilliant lines that are made even better by the Cockney accents on display. The lingo and slang are, at times, enough to garner a giggle or two from the audience. Whilst the topics discussed in The Homecoming are deep, there’s no need to get into a massive philosophical debate to enjoy the piece. The Little Theatre has done wonders with the material, and, as I mentioned at the top of the review, welcomes you in with its nostalgic interior, the same feeling you get when you go to your nan’s house. 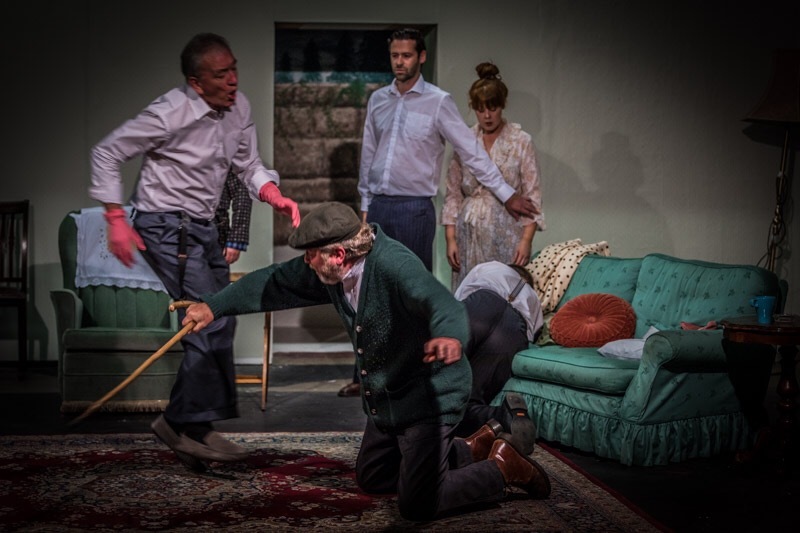 Harold Pinter’s The Homecoming is running in the Little Theatre until Saturday 8 July, with performances at 7.30 pm. Tickets are priced at £9.50 (with concessions at £7.50) and are available here, or by contacting TicketSource on 0333 666 3366 (the Box Office number, 01244 322674, only provides information, and booking enquiries will not be accepted), or alternatively, you can book tickets at the box office, located on-site.